Today we’re going to dial things back to the very beginning for those people who are just graduating, who just wrote their license, or who are just starting out, so we can take back a lot of the concern. As an entrepreneur, we’re already overwhelmed enough and with all of the options for software, equipment, technology, etc. it can become so overwhelming. This is why I wanted to have a show where we break everything down, step by step. Right now you may be looking at the whole city when you should really just be looking at the street. It’s time to simplify everything so you can see the roadmap, but you’re not looking at the entire picture. It doesn’t have to be complicated, nor does it have to be expensive when you first start out. How did you open your business and why did you choose to do so? Where do you start with someone who’s ready to open their own business? How should someone go about researching their target market? Where should someone start using social media within their business? What tools can someone use to gain momentum when growing their business? 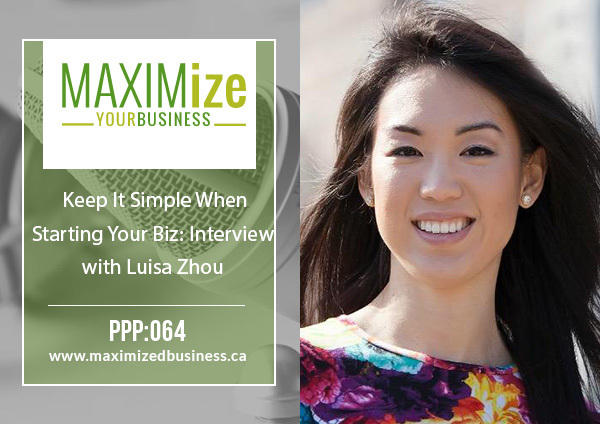 Luisa’s tips for gaining credibility and recognition when opening your own business. Why Luisa doesn’t suggest creating a website right away when starting your business. What Luisa finds to be the best lead magnet for business owners. How frequently she suggests to check in with clients and customers. What Luisa’s favorite CRM software is.